Choreography Constructs: A concert of new and innovative dance works by students and guest faculty in two separate programs. 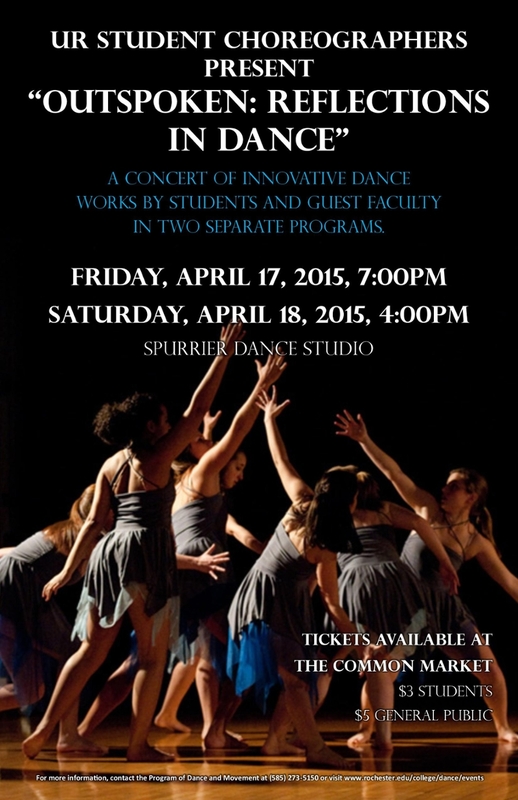 Friday, April 17, 7:00pm & Saturday, April 18, 4pm - Spurrier Dance Studio. Tickets $3/Students $5/General Admission.